“Led into the fork” is an expression in Estonia that indicates a very difficult, if not an almost inescapable situation. The potential disintegration of the Atlantic community is a “fork” situation for Estonia. Therefore a united and cooperative transatlantic relationship is and continues to be Estonia’s primary foreign and security policy objective. Since the 1990s, the Estonian foreign and security policy has followed two guiding principles: a close strategic partnership with US, and in the centralising its place within Europe. Security is the key objective of Estonia’s political life, and both foreign and domestic politics revolve around the consequences of different policies and their impact domestic and regional security. There is a consensus in the Estonian society and political life that NATO, and the US especially, are the country’s primary security guarantors. Strategic commitment to the US is also considered a commitment to shared values like democracy and international rules-based order. However this also boils down to the US’s military and defence capabilities. The US is the only NATO member state that has the capabilities to defend the Baltic States. While other NATO great powers might have the capabilities to protect themselves, they lack the capabilities to defend other countries. For Estonia, this fact – together with shared values – this are the key motivations for a strong, engrained transatlantic sentiment. Europe has its role in this influence as well. 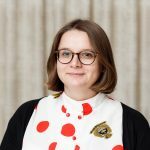 Estonia’s integration with the single market and Europe’s political life has strengthened the governance, economic development, civil society and politics of Estonia, all of which feed into its security and resilience. The unity of the EU and Europe is of primary value for Estonia vis-à-vis Europe. However, Europe holds complimentary value to NATO for Estonia in terms of security and defence. Estonian officials consistently stress this principle in light of recent European momentum towards more unified security and defence options. European momentum in defence. Next stop “European Strategic Autonomy”? As previously stated, European security and defence developments are seen as complementary to NATO from the Estonian viewpoint. Thus, the livened debate about the European Strategic Autonomy raises loud alarm bells in the minds of Estonian policy makers. Why so? Essentially, the US would like to see European policies that can provide for its security and defence while also having the necessary capabilities to be a reliable partner and support various global missions. However, today’s Europe lacks these capabilities and developing Europe qui protégé will take decades in defence terms. For Estonia, this is a plain fact. President Trump has changed the nature of the transatlantic community. Traditionally, the Atlantic community has functioned on a combination of shared values, direct contributions and indirect benefits. President Trump’s Atlantic community on the other hand functions on clear and visible victories. Consequently, this has made the transatlantic relationship more fragile, transactional and less self-evident as before. Combining the lack of European defence capabilities and the newly found transactional nature of the transatlantic relationship creates a perilous situation for Estonia. Discussions on the European autonomy may give President Trump a fitting excuse to contribute less to the relationship binding both sides of the Atlantic. This leaves Estonia in a vulnerable position since European capabilities to ensure European autonomy in defence and security are limited. The current reality is as follows: the US has asked Europeans to increase their share in defence and security for years, however, it has only borne few fruits. At the same time, Trump’s administration has increased US commitments in Europe. Estonia’s apprehensiveness to European autonomy discussions is driven by this reality, which in turn drives a strong Atlantic sentiment in Estonia. How to get the best out of the two worlds? 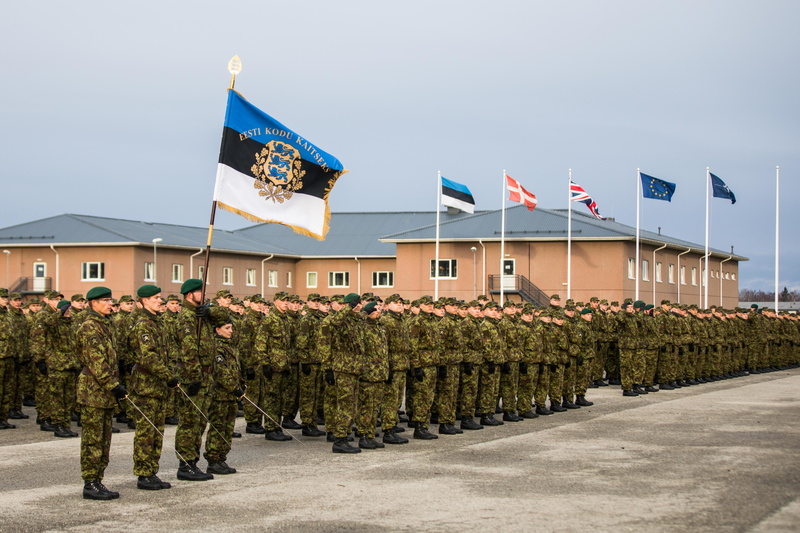 Europe’s increased defence capabilities, closer cooperation and improving defence funding, infrastructure and the surrounding inter-state bureaucracy are welcomed steps, since they contribute to NATO’s ability to defend Estonia. Looking into the future, it is also clear that Europe needs to take a greater share for its defence and security in Europe and its neighbourhood. Finally, the US needs more and more partners it can rely on dealing with threats around the world, be it fighting against terrorism, non-state actors in civil conflict or states threatening the international rules-based order. So, the European security and defence momentum should be seized. However, talk needs to be followed by actions, and the first action is investment. Standing in the North-Eastern corner of Europe, the concern is that the discussion about European defence and security autonomy might fail to materialise, which could cause significant harm by pushing the US away. However, if the talk will be followed by real investments then it benefits both worlds. Europe will increase its’ defence capabilities and the US will remain engaged with Europe. The transatlantic relationship is of utmost importance for Estonia, and the continuation of a united transatlantic community is vital to Estonia’s foreign and security policy objectives. Therefore, recent fractions between Europe and the US remain the greatest concern for Estonia – a real “fork” situation as earlier described . Currently, the growing concern in Estonia caused by fractions in the transatlantic relationship may deepen as discussions about the so-called European Strategic Autonomy progress. Increasing European defence capabilities is a welcomed and much-needed step. However, Europe needs to be realistic about its current capabilities and the harm that thoughtless talk might cause. A talk must follow actions. A pledge by European powers like France and Germany to increase their defence spending provides a safer foundation to discuss the limits and opportunities of European defence and security capabilities, while also strengthening the Atlantic community at large.